This article examines the extent to which the appearance of the 5 B.C. comet adequately explains, or fails to explain, the facts revealed about the “star” in the Bible. The article also summarizes the criticisms that have been waged against the proposal as well as how proponents of the proposal respond to those criticisms. Because comets are made up of frozen gasses, ice, rocky debris and dust, they are often referred to as “big dirty snowballs.” When a comet migrates closely enough to the sun, the sun’s heat vaporizes ice in the comet causing a tail to form. Although numerous comets exist, comets bright enough to be seen from Earth are only visible to the naked eye about once every ten years. Large comets with spectacular tails are significantly more rare. One of the most recent sitings of a large comet was the Hale-Bopp comet which was visible for well over a year (see photo above). The Hale-Bopp Comet was last seen in 1997 and will not be seen again for another 2,500 years or so. Halley’s Comet is another large comet. It is noted in historical records dating back to at least 240 B.C. The clay tablet depicted on the left references a sighting of Halley’s Comet in 164 B.C. It was last seen in 1986 and will reappear again in 2061. 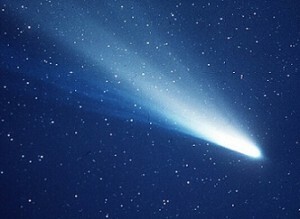 The sighting of Halley’s comet closest to the time of Jesus’ birth was in 12 B.C. Given the broader definition of the Greek word “aster” (as compared to the English word “star” (more>>)) and because Matthew’s description of the Christmas “star” correlates well with certain characteristics commonly exhibited by comets, some scholars propose the Christmas “star” was a comet. In 1991, relying data gleaned from catalogues of ancient Chinese astronomical records, Colin Humphreys of Cambridge University published an article proposing the Christmas “star” (aster) was a comet. [See, Quarterly Journal of the Royal Astronomical Society 32, pgs. 389 – 407 (1991)] He also presented the proposal to the Cambridge Philosophical Society. A 1995 version of Humphrey’s article entitled “The Star of Bethlehem” is available on the American Scientific Affiliation (ASA) website here (last accessed 12/5/2014). Many scholars believe the Magi were pseudo scientists (astronomers) from Babylon or Persia who may have been part of the legacy of Jews who were deported to Babylon by King Nebuchadnezzar II (more>>). If so, the Magi may have been aware of Daniel’s prophecy concerning the coming of a king of the Jews (see, Dan. 9:25); consequently, they may have been looking for a sign of the coming of a Jewish king around the time of Jesus’ birth. Moreover, because Numbers 24:17-19 prophesied a “star” (a ruler) would come forth out of Jacob and a scepter would rise out of Israel, the Magi may have been looking to the heavens for a star as a sign of the coming of the Jewish king. Specifically with respect to the 5 B.C. comet, its appearance over a 70 day period with a sweeping tail would have certainly been unusual enough to have drawn the attention of the Magi, especially if they were looking for a sign of the coming of a Jewish king around that time. A triple conjunction of Saturn (aka Defender of Israel) and Jupiter (the King Planet) in May, October and December of 7 B.C. A meeting of Mars, Jupiter and Saturn in February of 6 B.C. Humphreys proposes the Magi may have interpreted these astronomical events as a sign of the coming of the Jewish Messiahprophesied in Daniel 9:25. In his view, the appearance of the 5 B.C. comet was the final sign that inspired the Magi to travel to Jerusalem asking Herod: “Where is the one who has been born king of the Jews? We saw his star when it rose and have come to worship him.” (Matt. 2:2). In 44 B.C. a comet appeared for 7 days during the Olympics. According to Suetonius (a Roman historian), as the Olympic celebrations commenced, “a comet shone for seven successive days … and was believed to be the soul of [Julius] Caesar”. As noted in the writings of Pliny the Elder, Encyclopedia 2.93-94, because the “people believed the comet signified that the spirit of Caesar had been received among the immortal gods” an emblem of the comet was added to the bust of Caesar that was consecrated in the Forum. Caesar Augustus (63 B.C. – 14 A.D.) also dedicated a temple that was built on the site of Julius Caesar’s cremation to the 44 B.C. comet — the temple was called the Temple of the Comet. Additionally, In commemoration of the 44 B.C. comet, Roman coinage from about 44 B.C. until 19 B.C. depicted a comet on one side and Caesar on the other side. Indeed, in 19 B.C., Caesar Augustus’ heir, Octavian (who changed his name to Augustus Caesar), had a coin struck with his likeness on one side and the 44 B.C. comet on the other. Based on the above examples, those who propose the Christmas “star” (aster) could have been a comet maintain that around 4 B.C. – 1 B.C. when the Magi would have observed the “star”, they could very well have interpreted the siting of a comet as a sign of the birth of a king [See, Colin Humphreys, “The Star of Bethlehem” (1995), asa3.org]. This would especially be true if, based on Old Testament prophecies, the Magi were looking to heavens for a “star” (Numbers 24:17-19) as a sign of the coming of a Jewish king around the time of Jesus’ birth (Dan. 9:25). With respect to the 5 B.C. comet, the Magi may have considered a comet seen for the first time a “new star”. Indeed, ancient Chinese astronomical records describe the 5 B.C. comet as a “new star” which was “sui-hsing” meaning a “broom star” (a star with a sweeping tail). In the following YouTube animation by Ross Mitchell (more>>), Jupiter, Venus, Mars and Mercury are seen as small dots of light “rising in the east” over Sydney Harbour Bridge and proceeding in a westerly direction (right to left) at a rate 250 times faster than what actually occurred. Likewise, comets are similarly observed rising in the east. In similar fashion, earthbound observers see the sun (which is a star) do the same thing on a daily basis — the sun is seen rising in the east and setting in the west. Did the 5 B.C. comet appear around the time of Jesus’ birth (≈ 7 B.C. — 2 B.C.)? Additionally, although Herod would have certainly been aware of the 5 B.C. comet, the comet may not have seemed overly significant to him until the Magi arrived and explained that the comet signified the coming of a Jewish king. Only after Herod perceived a threat to his throne by a newborn Jewish king did he meet secretly with the magi to determine the exact time the “star” had appeared. it was only after the Magi explained the 7 B.C. to 5 B.C.astronomical timeline to Herod and failed to report back the whereabouts of the baby king as instructed that Herod ordered all the male children born in and around Bethlehem the prior two years (7 B.C. – 5 B.C.) be killed, in accordance with what he had learned from the Magi (Matt. 2:16). As maintained by Colin Humphreys, the 5 B.C. comet with a sweeping tail (which was observed over a 70 day period) was visible long enough for the Magi to make the approximate 6 week journey from the east (probably Babylon or Persia (more>>)) to Jerusalem and still see the star after they left Jerusalem for Bethlehem. The references to the “star” (aster) in Matthew 2:2 and Matthew 2:9-10 would also be explained if the comet was first seen by the Magi in the east, then disappeared at some point only to reappear when the Magi left Jerusalem for Bethlehem. However, as contended by Colin Humphreys (who believes the Christmas “star” (aster) was visible the entire time the Magi traveled to Bethlehem), astronomers of the day (who did not understand orbital patterns of comets) would have likely regarded such appearances as two separate “stars” (aster). Criticism No. 1 — Comets Orbit the Sun Cyclically and a Comet Appearing in 5 B.C. Should Have Reappeared by Now: Comets appear in cyclical periods, e.g., Halley’s Comet reappears every 75 to 76 with a predictable periodicity. If the 5 B.C. “new star” with a sweeping tail (i.e, “sui-hsing” (“broom star”) was a comet, it most likely would have reappeared during the last 2,000 years and astronomers would have been able to extrapolate the timing of its appearance back to 5 B.C. No such comet has reappeared. Response No. 1 — Some Comets Have Very Long Orbital Periodicities which Far Exceed 2,000 Years: Some comets have extremely long periodicities. For example, based on observations made of the Catalina Comet (C/1999 F1), astronomers have calculated it it will only be seen by earthbound observers every 6 million years. The Hale-Bopp comet which was visible from May 1996 to December, 1997 will not return for over 2,500 years. Likewise, if the Christmas “star” (aster) was a comet with a long periodicity, it would not have made another appearance close enough to Earth to be detected by earthbound observers. Response No. 2 — Some Comets Appear Only Once; Others Appear More than Once but Eventually Leave the Solar System Never to be Seen Again: There are at least three reasons why a comet appearing in 5 B.C. may not ever be seen from Earth again: 1) Some comets are not gravitationally bound to the Sun and, consequently, they leave the solar system never to be seen again; 2) Comets lose ice (and the material embedded in the ice) each time they migrate close enough to the sun for the sun’s heat to vaporize the ice. Over time, the comet will eventually become extinct and 3) Sometimes the orbit of a comet will put it on a collision course with another object in space (e.g., planets, moons, etc.) resulting in the total demise of the comet. Due to the rotation of the earth, some celestial objects (including comets) appear to “move” across the sky in relation to the relatively fixed background of stars. Alternatively, the comet’s orbit may have caused it to disappear behind the sun, then reappear in the southern skies when the Magi left Jerusalem to head south to Bethlehem. Colin Humphreys notes that historians broadly contemporary with Matthew used the same terms or similar terms (e.g., “stood over” and “hung over”) to describe the position of comets in relation to cities and towns. “the star called comet stood for several days over the city [Rome] and was finally dissolved in flashes resembling torches” (emphasis added). [See, Cassius Dio, Roman History 54, 29]. Similarly, Josephus wrote: “a star, resembling a sword, stood over the city Jerusalem.” [See, Jewish War 6, 5, 3] Humphreys believes Josephus was probably describing a 64 A.D. comet referenced by Tacitus in Annals, 15,47. As explained by Humphreys, around the time of Jesus’ birth comets were thought to be located in the atmosphere below the sun, moon and stars and were probably the only astronomical objects considered close enough to earth to “stand over” a particular city for part of a night. As set forth in this article, Professor Colin Humphreys of Cambridge University maintains the 5 B.C. comet is a legitimate candidate for the Christmas “star” (aster) because the appearance of the 5 B.C. comet adequately explains many (if not all) of the facts recorded about the “star” in Matt. 2:1-11. However, because Matthew 2 contains only a limited amount of information about the “star” and because there are areas of disagreement about how certain Greek terms used in the original text should be interpreted (more>>), many scholars caution against forming steadfast opinions about the precise nature of the “star” (aster). Nonetheless, because legitimate astronomical explanations have been offered which are consistent with the facts recorded about the “star” (aster) in Matthew 2:1-11, Christian apologists maintain it is unfair for skeptics to insist the biblical account of the Christmas “star” be written off as a made-up fiction. Slideshow Photo: This photo of the Hale-Bopp Comet was taken by Philipp Salzgeber as it flew over the skies of Pazin in Istria, Croatia on March 29, 1997 was named picture of the day on Wikimedia Commons for May 27, 2008. The image was downloaded from www.wikimedia.org which states the image is licensed under the Creative Commons Attribution-Share Alike 2.0 Austria CC-BY-SA-2.0-AT. Babylonian Tablet: This photo was taken by Gavin Collins at the British Museum on February 27, 2010. The image was downloaded from www.wikimedia.org which states the author placed the image in the public domain. 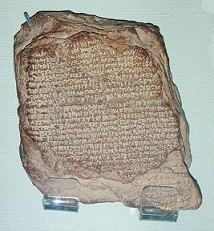 The clay tablet, recorded in Cuneiform, references an appearance of Halley’s Comet in 164 B.C. from September 22nd -28th. Halley’s Comet 1986: This image was downloaded from www.wikimedia.org (Halley’s Comet”) which states the image is in the public domain because it was produced by NASA and NASA’s copyright policy states “NASA material is not protected by copyright unless noted“. 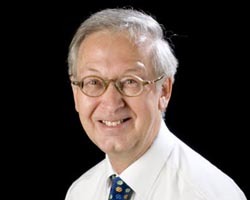 Prof. Colin Humphreys: This image was downloaded from Cambridge University’s website. Coin of Augustus Caesar (c 19 B.C. ): This image, provided by Classical Numismatic Group, Inc. (www.engcoins.com) was downloaded from www.wikimedia.org which states the image is licensed under the Creative Commons Attribution-Share Alike 3.0 Unported license (CC-BY-SA-3.0). 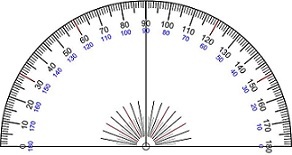 Degree Angle Protractor: This image provided by was produced by Scientif38 and downloaded from www.wikimedia.org which states the author placed the image into the Public Domain for any purpose, without any conditions, unless such conditions are required by law. Degree angle protractors are used to measure angles in degrees (°). Comet McNaught: This photo of Comet McNaught (C/2006) was taken on July 30, 2013 by “Soerfm” and downloaded from www.wikimedia.org which states the image was licensed under the Creative Commons Attribution-Share Alike 3.0 Unported license (CC-BY-SA-3.0). 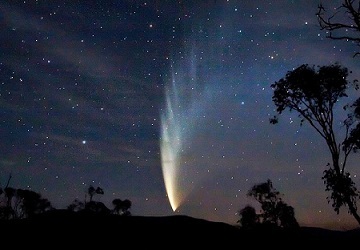 The McNaught Comet was discovered on August 7, 2006 by British-Australian astronomer Robert H. McNaught. Orbit of a Comet: This animation was authored by “Anarchemitis” at the Wikipedia project who released the image into the public domain to be used for any purpose. This rudimentary animation of the orbit of a comet illustrates how a comet can “disappear” behind the sun from the view point of an earthbound observer and then reappear as the comet orbits back out from behind the sun.